22 campers are competeing for a huge cash prize! How much? Why, 1,000,000 Poke! Join our host, Sylveon, as we get to know our cast, root for our favorite and curse our most hated. 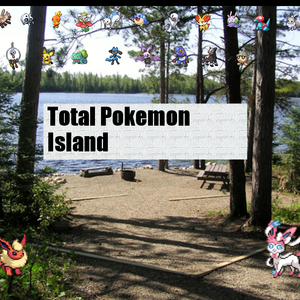 This...is Total Pokemon Island! Porygon! I programmed you better than this! Don't let her intial speech pattern fool you, Skitty is a smart camper. She uses her outward apperance to her advantage, and is as cunning as a vulpix, as the saying goes. She is easily frightened however. She's a member of team Whirlpool. Well, like, I'm super exicted to be here! Eek!Do-don't scare me like that like seriously! Riolu is a natural born leader. He is charasmatic, charming, and does his best to keep his team together. He's the leader of Team Whirlpool. C'mon guys! We can do this! Pichu is the most underestimated camper. She's small, cute, and can't even use electric moves without shocking herself. Pichu is part of team Whirlpool. Why are all these pokemon starring at me? Is it really that hard to tell I'm a girl? I'm a gym Pokemon! Trust me on this! Can't you just listen to me? They don't need a friend, they need a leader! Pachirisu is one of the few of Eevee's teammates who actualy doesn't mind that she's leader. She's nice unless angered. She's part of team Fire Spin. Feel my blue lightning power! 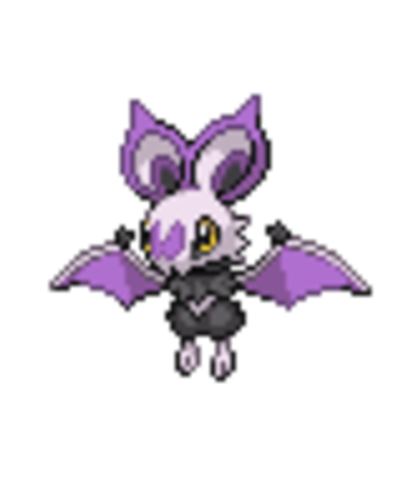 *voice cracks* Just wait until I evolve! Hey! Don't make me tell your leader on you! Kelfki is a kleptomaiac and an avid key collecter, so playing right into his kind's sterotype. He'll be nice enough to give it back to you if you ask, but mostly he keeps to himslf and guards his keys jealously. He is part of team Fire Spin. *keys shaking* I'm so excited to-wait where the hell are we? I can get into anywhere! 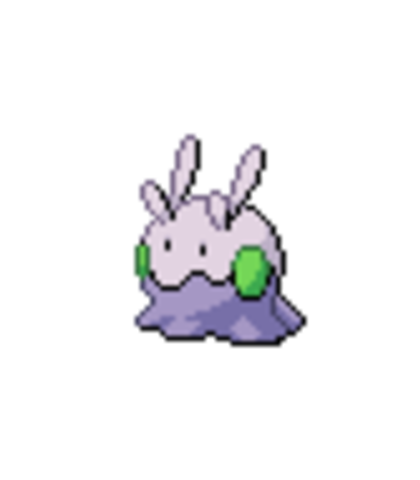 Goomy is a nerd. He also is a huge survivalist. He's a part of team Whirlpool. Oh my god! I cosplayed as that last year! It's just like this book I read! Ok, we need to build a fire, a camp fire is probably going to help us survive due to, you know, warmth. Bulbasaur is often the mediator of the group. Like Eevee, he's very competitive though and often looses himself in the competition. He's a member of team Fire Spin. Calm down! 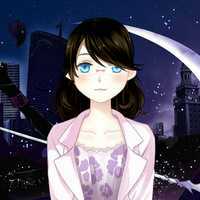 Everything will be fine! Absol is a very honerable camper. He lives by a chiverlous code of conduct. He's a part of team Fire Spin. Sneasel is a very quiet camper. 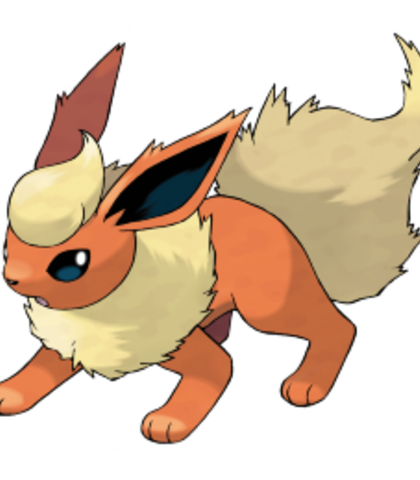 A member of team Fire Spin, he is their unoffical leader sense most of their team hate Eevee. He rather be left alone and fly just under the radar though. Why don't you all calm down hm? 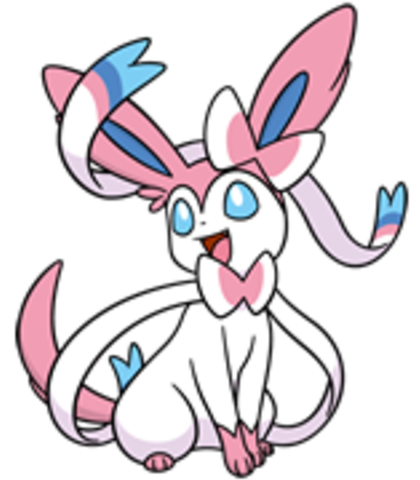 Flreon is the chef of the island, and Sylveon's right hand they came up with most of the planned challenges. Oh! may the best pokemon win then Absol! The waters are on our side! 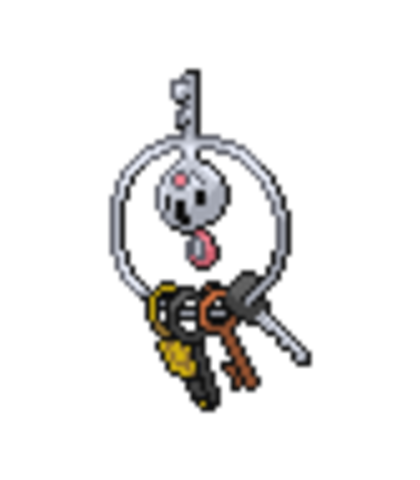 Although an AI, Porygon much rather use their might than their mind. They're part of team Fire Spin. Um...you assume I know the answer? Sylveon is very self-centered. She is generally overly cheery, but doesn't seem to fully understand why all the campers complain about the challenges. Spheal is very much a Sherlock wannabe. She does have the brains to back it up though. She's a part of team Fire Spin. Deduce you empty brained dolt! Hey girl, why don't you and I do as the pokemon in the woods do? Houndour is a tough as nails camper...when he isn't sercretly trying to help others. He is a pack creature after all. Houndour is on team Whirlpool. So what if I helped you? Yeah yeah you want my help now right?